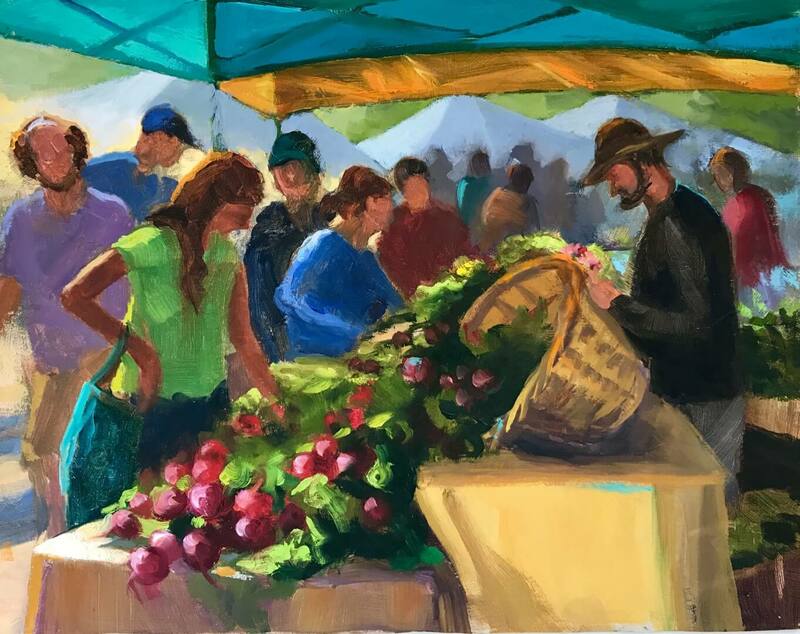 Boulder County Parks & Open Space hosted its fourth juried en plein air art exhibit in 2018. 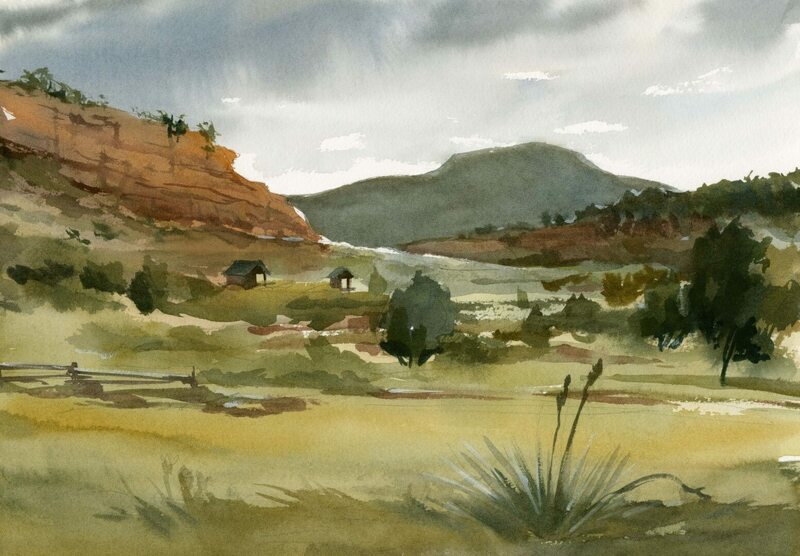 En plein air art is the act of creating art from observation in the outdoors. The art exhibit finished on Nov. 2. The exhibit featured over 90 works of art. Thank you to The Great Frame Up – Longmont for hosting the exhibit. Thank you to Guillaume’s European Catering for providing delicious appetizers to this year’s exhibit opening. Thank you to the Boulder County Parks & Open Space Foundation for their support of the event. Thank you to our Selection and Prize Jurors, Molly Davis, Pascale Fried, Amy Mann, and Cindy Sepucha for their help in choosing work for the exhibit and for their selection of this year’s prize winners. Thank you the Boulder Arts and Crafts Gallery for donating prizes. 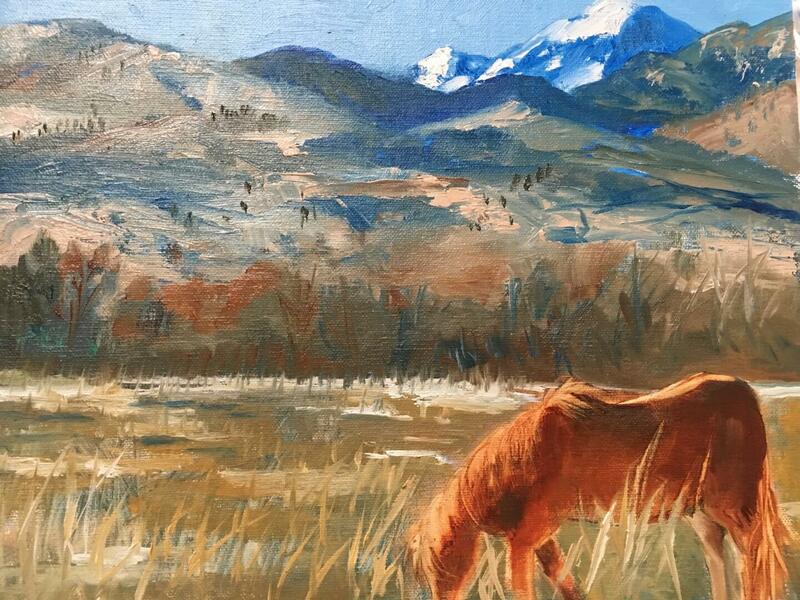 Boulder County is accepting entries for the 2018 art exhibit that will run Friday, Oct. 12 through Friday, Nov. 2 at the Great Frame Up – Longmont. Entries must feature Boulder County Parks & Open Space properties. Entries can be created at any point in time. 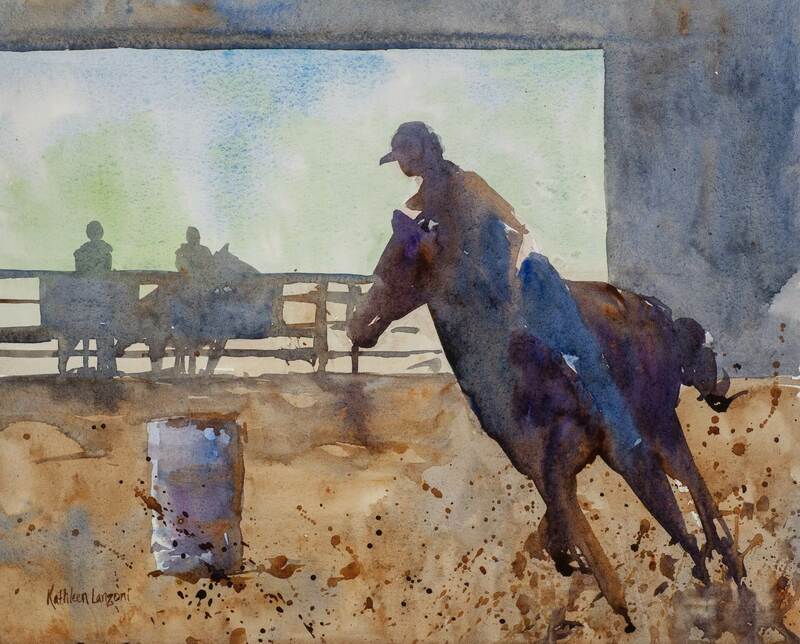 Unlike previous shows, entries do not need to be created during a specific time period. 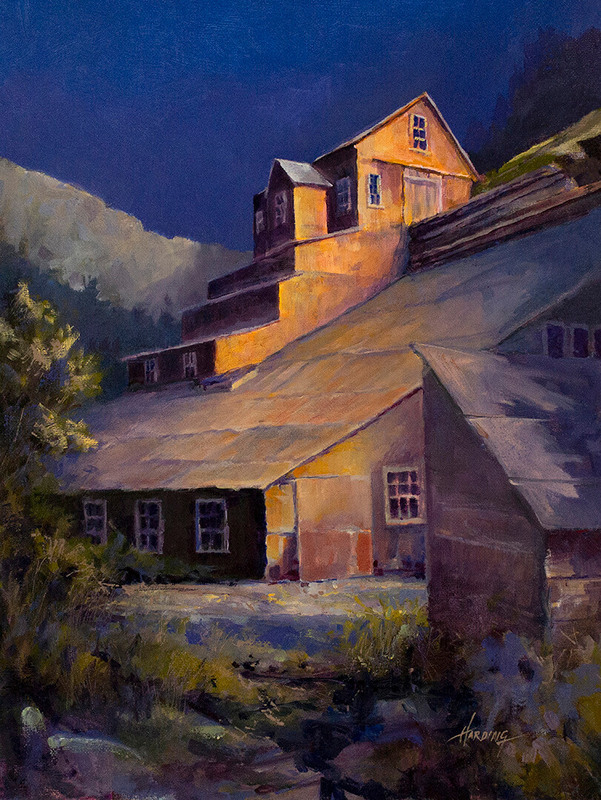 Any entry that has already been featured in a previous Boulder County en plein air exhibit is not eligible. 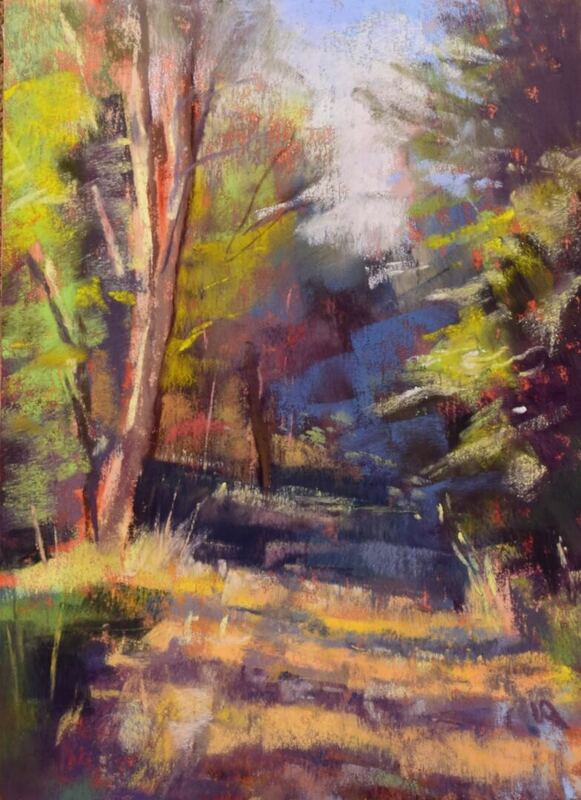 Allowed mediums include oil, watercolor, acrylic, ink, pastel, pencil, and 3D mediums such as cloth, wood, and clay. Anyone may submit up to four pieces for a $30 entry fee. Any profits will be contributed to the Boulder County Parks & Open Space Foundation. The deadline for submissions is Wednesday, Aug. 1, 2018. Submissions must be submitted electronically using the online application (i.e. submit photos of your work). Ranger Fowler and other local artists will hold group painting sessions on open space properties including some properties usually closed to the public.